Happy (belated) Mother’s Day everyone! 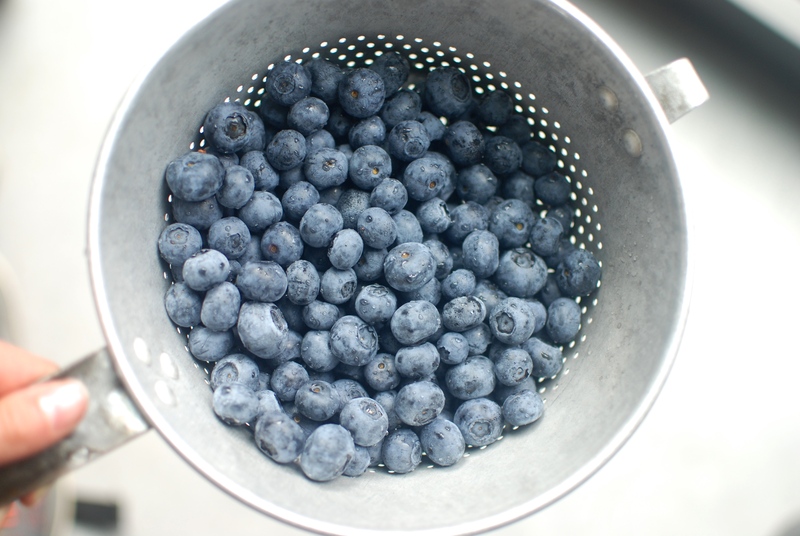 It’s finally spring, and the blueberries are just getting big and sweet enough to be baked into batters and pies. Hooray! 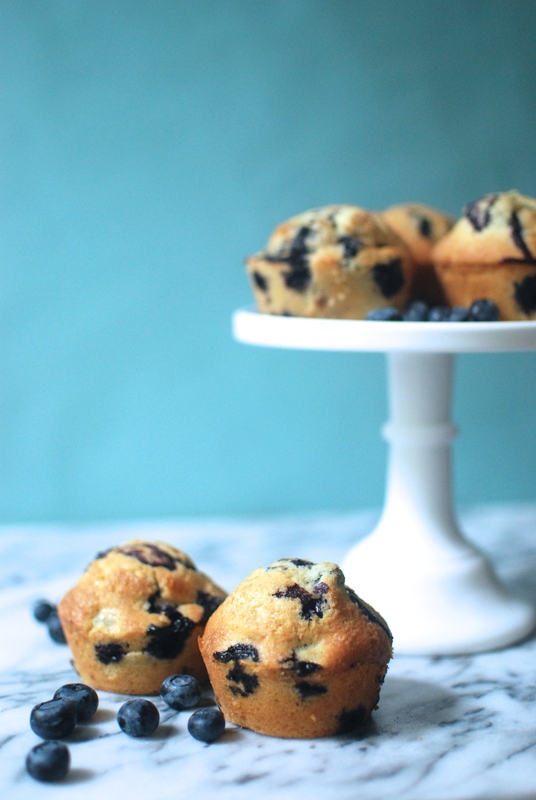 So, we started our morning off yesterday with a batch of these fluffy and delicate blueberry muffins. After much speculation, I decided to try a recipe from King Arthur Flour; the results were heavenly–light, buttery muffins with perfectly domed sugary tops. When these came out of the oven, I scurried to the table to photograph them, sure they would sink as they cooled. 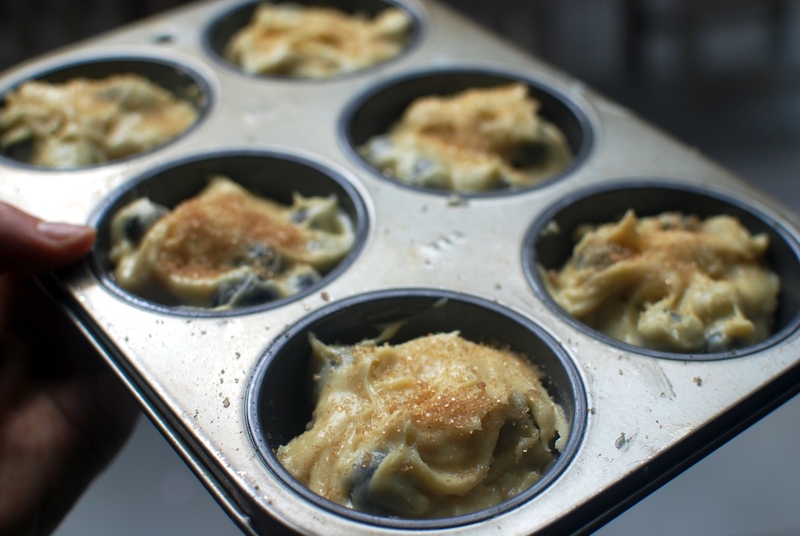 But to my surprise, the muffins stayed perfectly tall and round, and they tasted better than they looked–a win win! 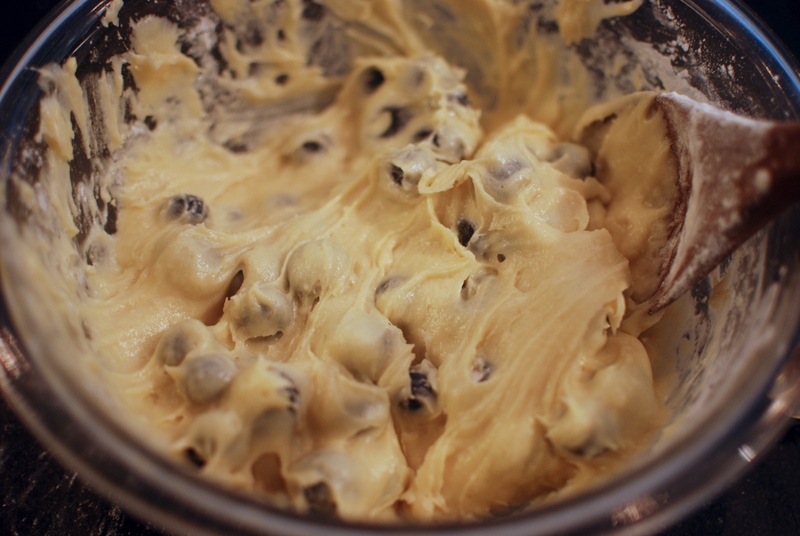 I know it’s a Tuesday morning, but please please take the 10 minutes to go and whip up this batter. As in, now. You’ll thank me, I swear. 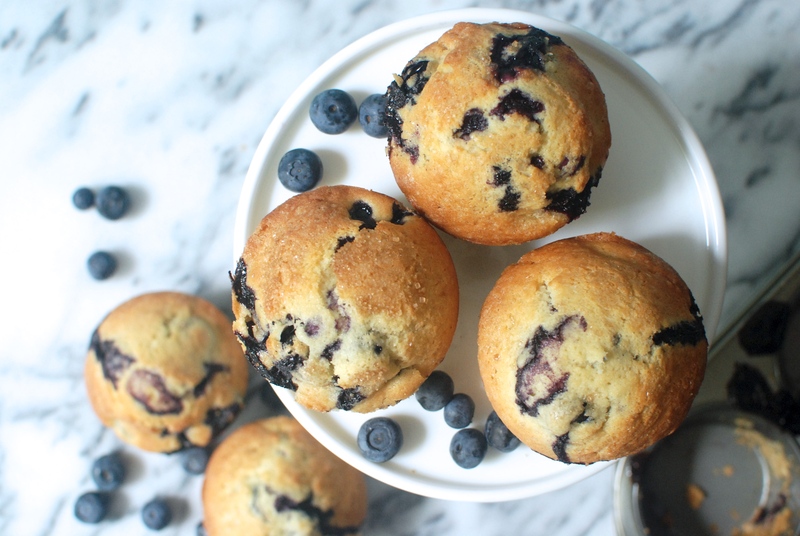 There’s nothing like a batch of warm blueberry muffins to brighten up a weekday morning. 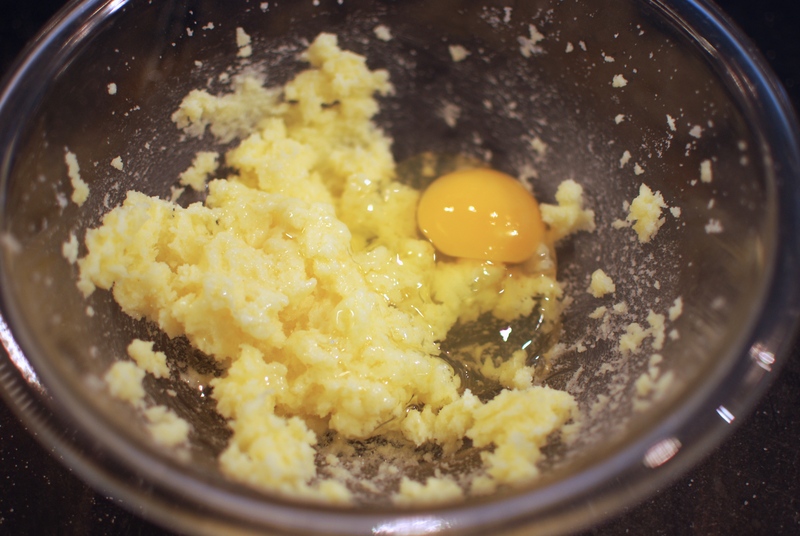 We’ll start by creaming some sugar and butter, then beating in an egg. The basics! Now use a wooden spoon to stir in baking powder and vanilla. Alternate adding flour and milk, but be super careful to NOT OVER MIX THE BATTER! This is the #1 cause of a dense muffin. Traces of unmixed flour are absolutely fine. Now for the best part–the berries! Wash ’em and throw them around in a bit of flour, then fold them carefully into the batter. It’ll be nice and thick! Spoon this into a greased (or lined) muffin tin by the heaping 1/4 cupful. 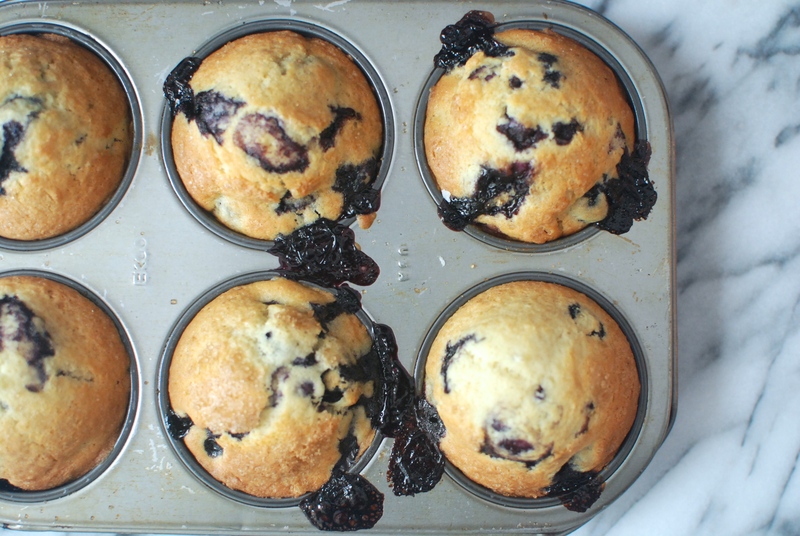 This recipe makes 6 muffins, but it’s easy to double. Sprinkle the tops with a generous amount of raw sugar and pop them in a 375 F oven for around 25, or until a toothpick comes out clean. Oozing is perfectly normal. Welcome, even. It means you’ve done your job well. Eat these warm with a nice big pat of salted butter. Here’s the condensed recipe! 1. Preheat oven to 375 F (I used 350 F on convection). 2. In a medium bowl, cream the butter and the sugar. Beat in the egg until combined. 3. Using a wooden spoon, stir in the baking powder and vanilla. 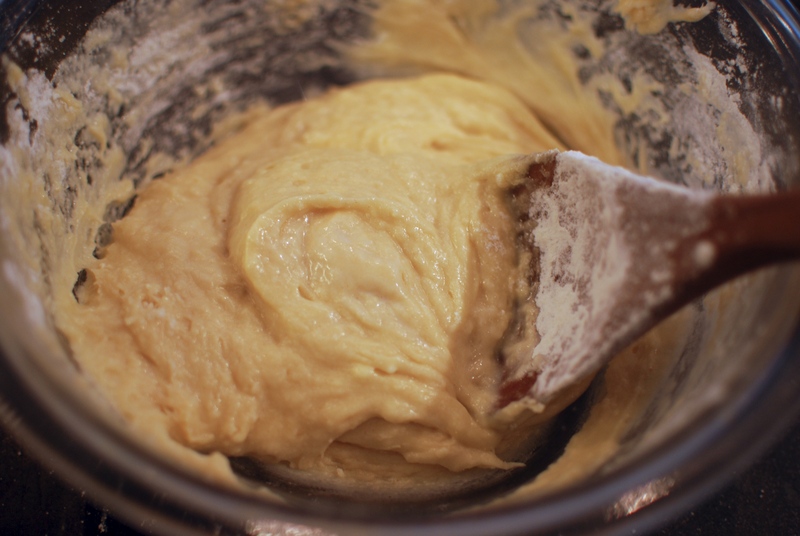 Then, gently add the flour alternately with the milk, making sure not to over mix the batter. This is the key to a delicate muffin! 4. 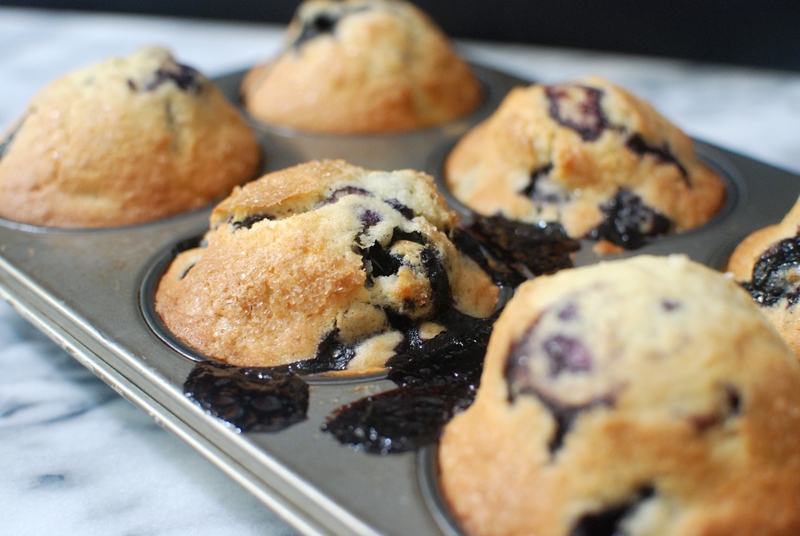 Toss the blueberries with the teaspoon of flour and fold them into the batter. 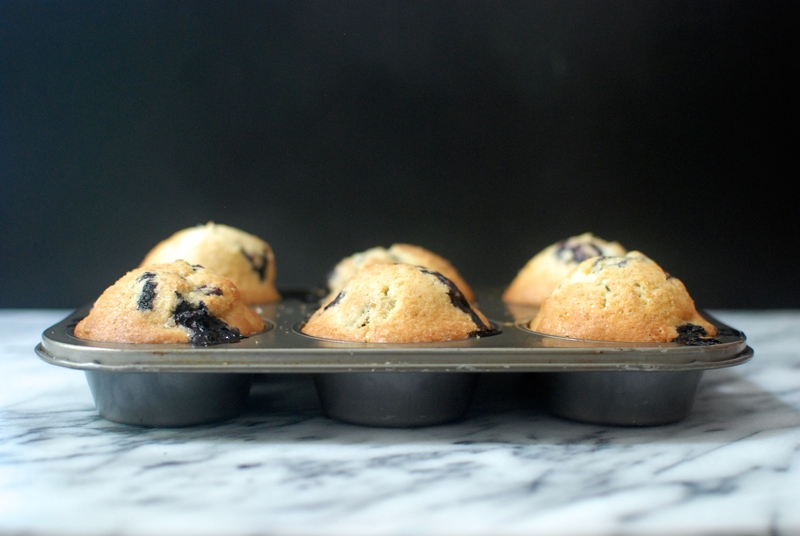 Scoop the batter by the heaping 1/4 cupful into greased or lined muffin tin. 5. Bake for around 25 minutes, or until a toothpick comes out clean and the muffins are golden. Serve warm! What did you do for Mother’s Day? Let me know in the comments! Happy nibbling! These look delicious! I love your photographs too. They are so pretty!